The Dessert of the Month Club is the perhaps the sweetest gift of all! In Italy, desserts aren't typically assumed to be eaten after your meal. In fact, desserts in Italy are more likely to be enjoyed at any time of the day and often all on their own. What can we say except Viva Italia! Each month we'll send a new variety of delicious, mouth-watering dessert carefully chosen by our taste-testing professionals for its incredible flavor and an unforgettable gourmet experience. Each generous monthly selection is large enough for 6 to 10 servings and included with each delivery is our fun and informative dessert club newsletter, Sweet Sensations, with information about our monthly selections, helpful serving suggestions, and more. Choose from 3, 6 and 12 month clubs or try our Dessert of the Season Club with new selections each spring, summer, fall and winter. If you're sending a gift, you can send a gift announcement by U.S Mail or email. You can even print your gift announcement right from your computer. It's the perfect solution for last-minute gift giving! We're proud to deliver some of the most delicious desserts available anywhere - each baked with only the finest all-natural ingredients and delivered fresh from world-class bakeries. 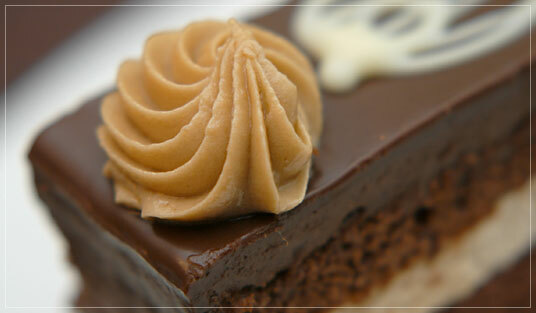 Previous selections have included delicate puff pastries, gourmet cakes and cupcakes, scrumptious cookies, and more. If someone you know suffers from a serious sweet tooth - the Flying Noodle Dessert of the Month Club is a gift they'll appreciate month after month. Just like all of our gourmet gift clubs, the Dessert of the Month Club includes FREE SHIPPING and our 100% Satisfaction Guarantee. They are going to love this gift. We Guarantee it!